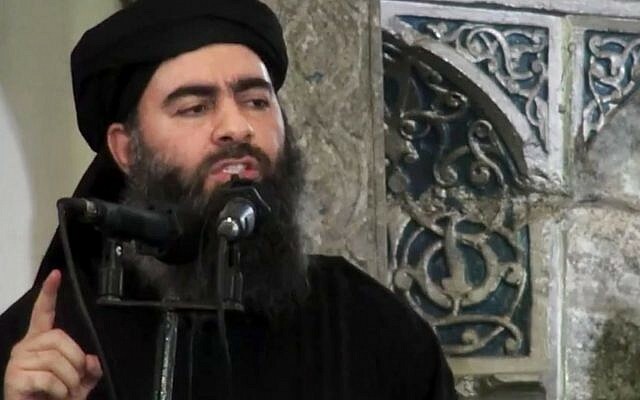 April — Abu Bakr al-Baghdadi, the leader of al-Qaida’s branch in Iraq, announces the merger of his group with al-Qaida’s franchise in Syria, forming the Islamic State in Iraq and the Levant and expanding his reach into neighboring Syria. January — Al-Baghdadi’s forces overrun the city of Fallujah in Iraq’s western Anbar province and parts of the nearby provincial capital of Ramadi. In Syria, they seize sole control of the city of Raqqa after driving out rival Syrian rebel factions, and it becomes their de facto capital. 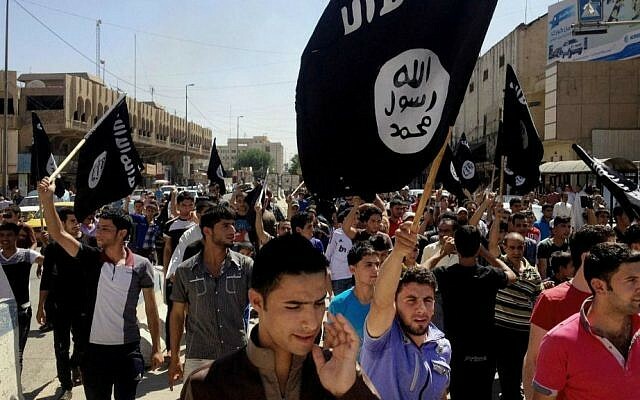 June — IS captures Mosul, Iraq’s second-largest city, and pushes south as Iraqi forces crumble, eventually capturing Saddam Hussein’s hometown of Tikrit and reaching the outskirts of Baghdad. When they threaten Shiite holy sites, Iraq’s top Shiite cleric issues a call to arms, and masses of volunteers, largely backed and armed by Iran, join militias. 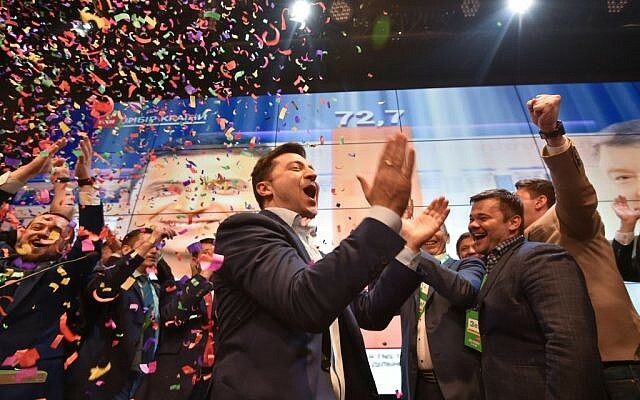 June 29 — The group renames itself the Islamic State and declares the establishment of a self-styled “caliphate,” a traditional model of Islamic rule, in its territories in Iraq and Syria. Al-Baghdadi is declared the caliph. July 4 — Al-Baghdadi makes his first public appearance, delivering a Friday sermon in Mosul’s historic al-Nuri Mosque. He urges Muslims around the world to swear allegiance to the caliphate and obey him as its leader. 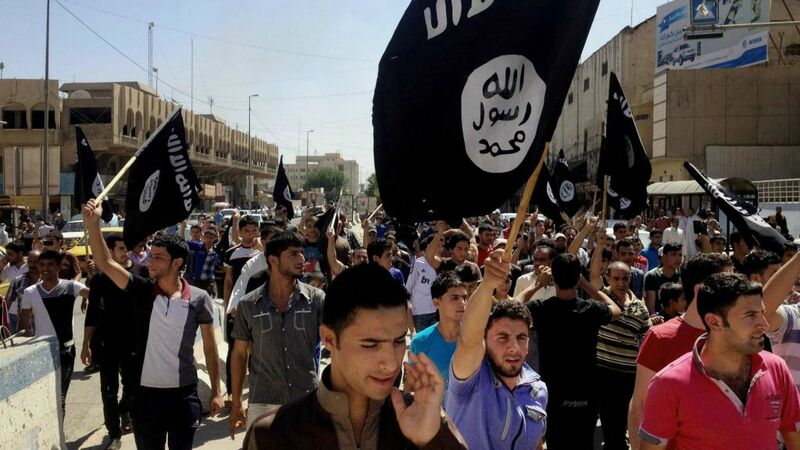 August 8 — The US launches its campaign of airstrikes against IS in Iraq. September 22 — The US-led coalition begins an aerial campaign against IS in Syria. January — Iraqi Kurdish fighters, backed by US-led airstrikes, drive IS out of several towns north of Mosul. In Syria, Kurdish fighters backed by US airstrikes repel an IS onslaught on the town of Kobani on the border with Turkey, the first significant defeat for IS. April 1 — US-backed Iraqi forces retake Tikrit, their first major victory against IS. February 9 — Iraqi forces recapture Ramadi after months of fighting and at enormous cost, with thousands of buildings destroyed. Almost the entire population fled the city. July 3 — IS sets off a gigantic suicide truck bomb outside a Baghdad shopping mall, killing almost 300 people, the deadliest attack in Iraq since the 2003 US-led invasion. October 17 — Iraqi Prime Minister Haider al-Abadi announces the start of the operation to liberate Mosul. 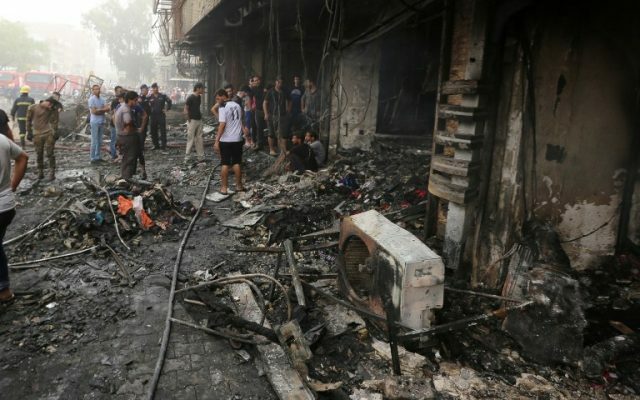 October 21 — IS militants and sleeper cells stage a wave of attacks with suicide blasts in the central Iraqi city of Kirkuk, killing at least 80 people in an attempt to divert attention from Mosul. November 5 — The US-backed, Kurdish-led Syrian Democratic Forces launch Operation Euphrates Wrath, the first of five operations aiming to retake Raqqa, starting with an encircling of the city. Februaary 19 — Iraqi forces begin the assault on western Mosul, taking the city’s airport and nearby military base within four days. May 10 — SDF captures the strategic Tabqa dam after weeks of battles and a major airlift operation that brought SDF fighters and their US advisers to the area. The fall of the dam facilitated the push on Raqqa, about 40 kilometers (25 miles) away. June 6 — SDF fighters begin an attack on Raqqa from three sides, backed by US-led coalition airstrikes. June 18 — Iraqi forces launch battle for Mosul’s Old City, the last IS stronghold there. 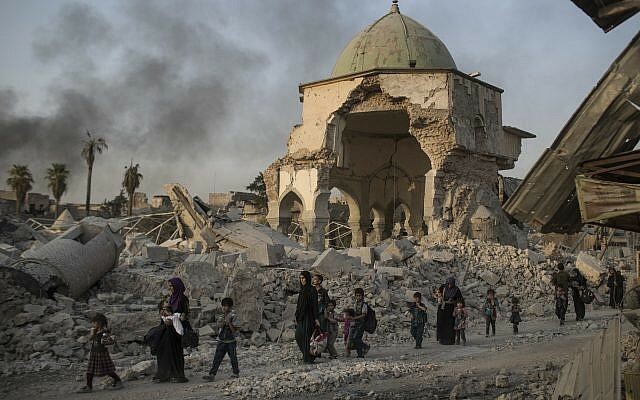 June 21 — IS destroys Mosul’s iconic al-Nuri Mosque and its 12th century leaning minaret as Iraqi forces close in, according to Iraqi and coalition officials. July 10 — Iraqi prime minister declares victory over IS in Mosul and end of the extremists’ caliphate in Iraq. August 23 — IS leader al-Baghdadi resurfaces in his first purported audio recording in almost a year; he urges followers to “persevere” and continue fighting. September 10 — SDF launches a ground offensive, backed by US-led coalition airstrikes, to take the last territory held by IS in Syria’s eastern province of Deir el-Zour.